I am the proud owner of a few hundred thousand stinging insects! Thankfully, they keep me well stocked with delicious honey so it’s worth all the sweat and tears! I keep a bag of dried mango strips in my car for a quick healthy snack. They have a secondary purpose of de-escalating potential road rage during Austin traffic. My go-to treat is chocolate mousse. I recently started running once a week with an old friend I’ve known since the seventh grade, so that’s been really sweet. In the gym, I’m working on my triceps more because it’s time for those diamonds to shine! Lastly, I’ve been hanging from the yoga wall a lot to relieve pressure in my low back that I accumulated while traveling in tiny, restricting plane seats. Variety. Not only does it keep things interesting, but I’ve found that I am my healthiest and happiest when supporting my vitality through a holistic approach. For me, the purpose of yoga is to reduce suffering – be that physical or mental. So my hope is that students leave my classes feeling inspired, grounded, and more open – literally and metaphorically. Anna began her yoga studies in 2004 and continues to enjoy learning new aspects of yoga therapy and wisdom training. She received her 200 and 500 hour yoga teacher certification through Prajna Yoga in Santa Fe, NM. 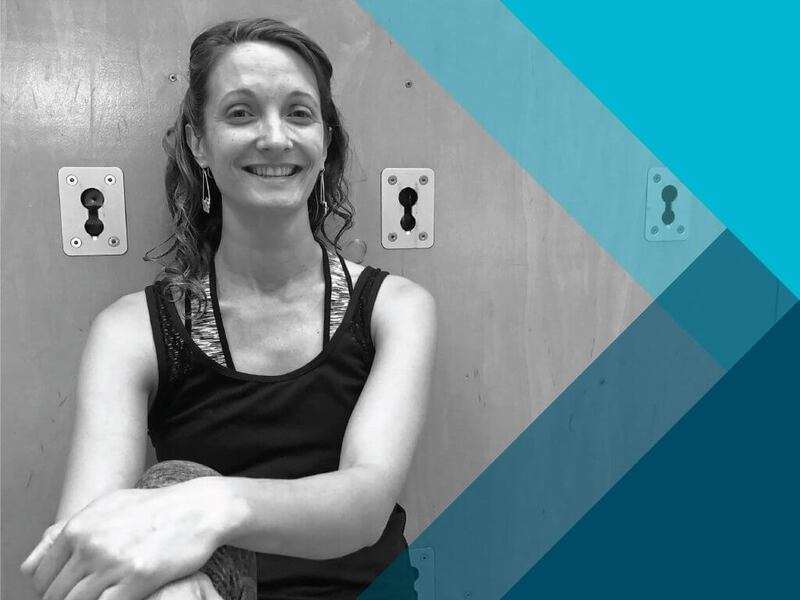 Anna is a committed student of Tias Little with whom she studies therapeutic yoga with a focus on anatomy and physiology, yogic wisdom, and Zen meditation. She has also studied yoga for women’s health with Surya Little and Linda Spackman and is certified in pre and post natal yoga. In addition to teaching yoga, she was a licensed massage therapist for 10 years. Her education in anatomy and myofascial release, most specifically Anatomy Trains with Tom Meyers, have greatly impacted her knowledge and practice as a yoga teacher. With skillful alignment and ample use of props, Anna hopes to guide students towards a more open and peaceful place in their bodies and mind. Her classes are inspired by her daily journey through the rhythms of life and living in the human body. A typical class will include meditation, pranayama (breath work), and therapeutic asanas (postures) with the goal of becoming more mindful, grounded, and aware of the inner working of the body. Anna will bring her therapeutic yoga training to her upcoming Sacrum to Skull: Weekend Workshop on October 6-7. Create deep relief in your body and support the your back with somatic movements and yoga asanas to increase mobility in the spine, stabilize the sacrum, and release tension in and around the neck and skull.